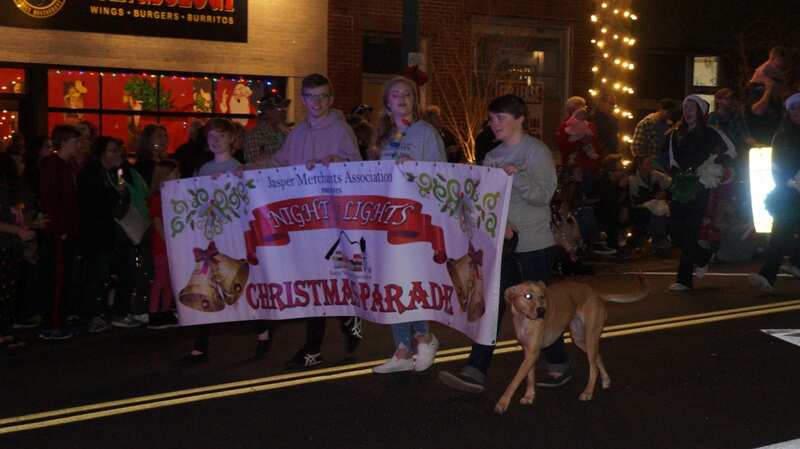 JASPER, Ga. – It may have been at night, but there was no difficulty seeing the Jasper Merchants Association’s “Night of Lights” Christmas parade on Sunday. 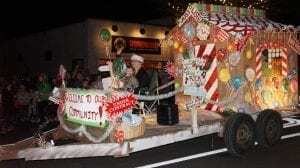 Though the annual event is always scheduled for the first Saturday in December, this year saw the association postponed the festivities by one day due to rain issues. The one day made a major difference for the event according to the JMA’s report at the Jasper City Council. Reporting several phone calls thanking them for moving it, the report also noted that some citizens reported it was the best one they have seen so far. 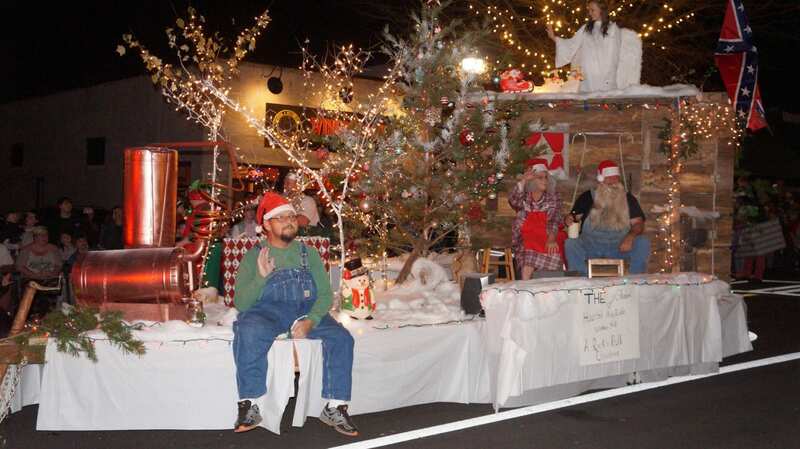 The festivities kicked off a 4:00 p.m. with music, a nativity, Santa, and more as citizens gathered on a closed down Main Street to kick off Christmas. 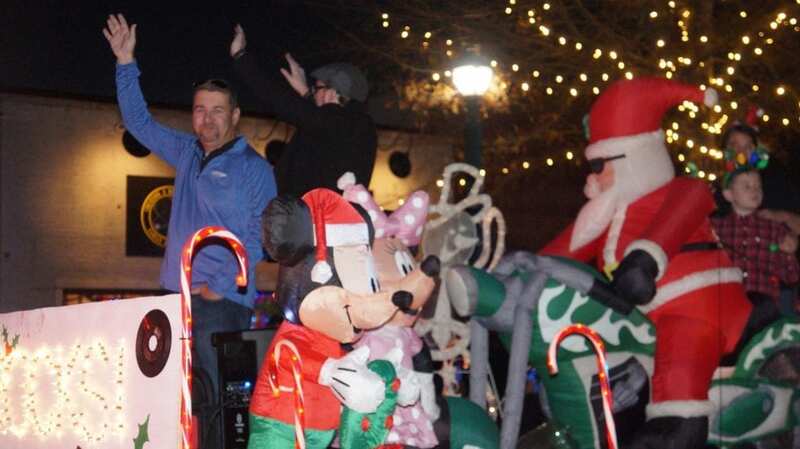 As 6:00 p.m. drew closer the crowds huddled around the Pickens County Courthouse for the lighting of the Christmas tree ten minutes before the parade. 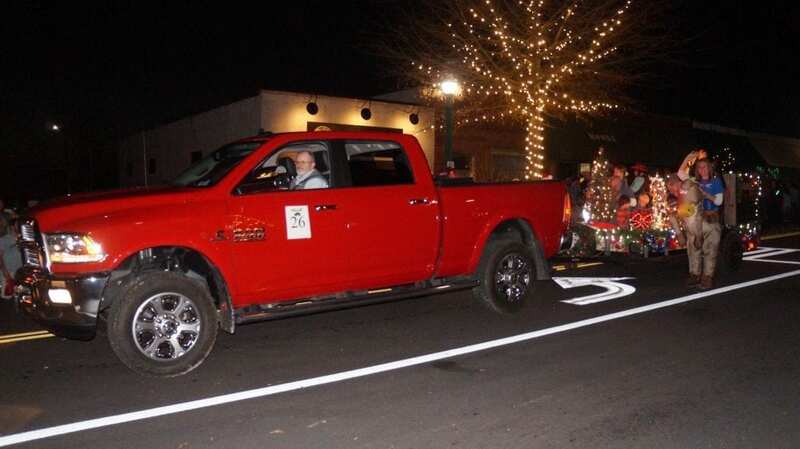 The parade also saw benefit from the delay as the JMA reported that they lost two groups from the delay, but gained the lit-up Semi-truck with Santa that originally was not able to join as it was in another parade on Saturday. They also noted the band and certain groups could not have participated in the rain. The parade ended the night’s festivities, but FYN is proud to announce the JMA’s Night of Light’s parade float winners by judge’s decision. The Best in Show Award went to Pickens High School as a whole for the Band, cheerleaders, and the 2018 6AAAA Football Region Champion Dragons. Third place ended with a tie score between Talking Rock Realty and Devil’s Shadow Hayride. Second Place went to Angel’s on Horseback.